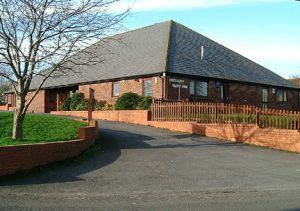 The Village Hall (right) is run by the North Curry Village Hall Management Committee which comprises elected members and nominated representatives of user organisations. 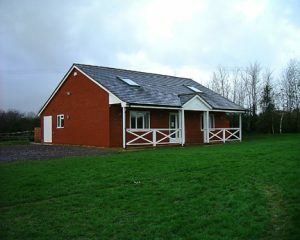 The Hall is available for public and private hire and full details of the facilities available can be found on the Hall’s own website http://www.northcurryvillagehall.org.uk/. For bookings contact hallbookings@northcurry.com. 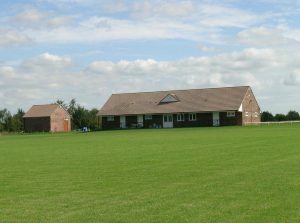 The Playing Field and Pavilion (left) are run by the North Curry Playing Fields Management Committee. In addition to the Pavilion, facilities include a Multi-Use Games Area (MUGA), a large grass area with a junior football pitch and a range of children’s play equipment. The Committee is always pleased to welcome new members. The Pavilion is available for public and private hire. For bookings and further information click here or contact pavilion@northcurry.com. The 12 acre White Street site (right) was acquired by North Curry Parish Council in 2006 by means of an agreement drawn up under the terms of Section 106 of the Town and Country Planning Act 1990. West of England Developments agreed to fund the building of a changing facility, access and associated car park and these have now been completed. The site is now fully operational for both cricket and football. To find out more about North Curry Sport Ltd. and the White Street Sports Field click here. For more information contact North Curry Parish Council.